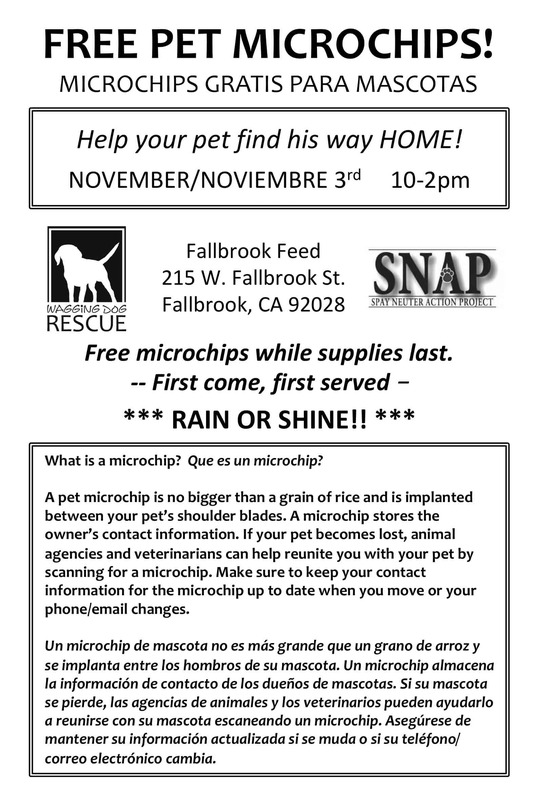 Wagging Dog Rescue is pleased to host our second FREE MICROCHIP CLINIC of 2018 on Saturday November 3rd from 10-2pm at the Fallbrook Feed Store! With the holidays coming up, it’s time to make sure your furry family members have the added protection of a registered microchip. A microchip is an invaluable tool to help owners reunite with their lost pets as quickly as possible. Wagging Dog Rescue is hosting a FREE MICROCHIP CLINIC – first come first served, rain or shine! No appointment necessary and chips are FREE while supplies last. We have 100 chips to give away to responsible pet owners. Bring your fur babies to our clinic for a #freemicrochip if they are not chipped already! We can chip dogs and cats (but sorry, no livestock or other types of animal family members). We of course hope no one’s furry family member will get out and get lost this holiday, but accidents happen and chips really do work. 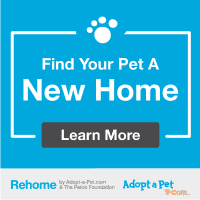 There are cases of microchips reuniting pets and owners even years after being separated! Spread the word and please share the event flyer with anyone you know, any businesses that will allow it to be posted in their window or lobby, any networking groups you’re a part of, etc. 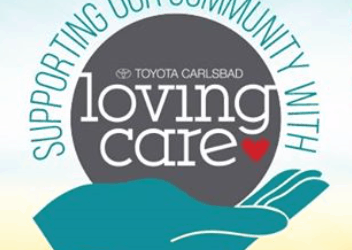 We want to make sure all 100 of our microchips are used for your family members! Thank you! Thank you to SNAP – Spay Neuter Action Project for donating the chips for this clinic!